Simply sign up for a Colombia virtual phone number online, pick the number of minutes you’d like to have included each month, enter your ring-to number, pick any optional features that appeal to you (such as optional call recording), and share your new virtual phone number with your contacts, partners, and potential customers in Colombia. Did you know that the Republic of Colombia is Latin America’s fourth largest economy? With a population of 46 million, Colombia has the third largest population. In 2012, the United States entered into a free trade agreement with Colombia, making the country one of the largest export markets in South America. If you’re thinking of entering the Colombia export market, consider establishing your business locally with a Colombia virtual phone number. 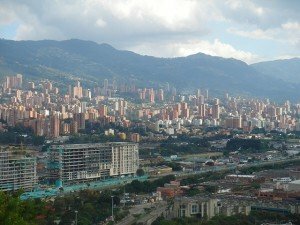 Why Build a Local Business Presence in Colombia? According to Export.gov, Colombians look favorably on US businesses, appreciating the superior quality and reliability of US products and services. While this is good and potentially gives your business an advantage over exporters from other countries, having Colombia virtual phone numbers can bring even more advantages. • Virtual phone numbers make it appear as if you have an office located in Colombia. This can signal that you’re serious about serving consumers in the country as well as instill confidence. • Virtual numbers make it easy for consumers to contact you. Whether you choose a toll free virtual phone number for Colombia or choose local virtual numbers for Barranquilla or Cali, callers in Colombia will be able to reach you internationally without concerns about international long distance. • Virtual phone numbers are flexible. The beauty of using virtual phone numbers to route callers from Colombia to your US office is the flexibility that comes with this type of phone service. For example, you could route your incoming calls from Colombia to customer service representatives who speak Spanish. If you’ll personally handle incoming inquiries, you could route the calls to your home office, mobile phone, main office line, and so forth as needed. Additional routing features, such as time of day routing, are also available. • Virtual phone numbers add credibility to your business. If you run a small import/export business but want your business to appear more professional and credible, getting a toll free or local Colombia virtual phone number can make your business appear larger than it actually is. Use the auto attendant to route callers to different departments or set up a professional greeting. With our international call forwarding service, your Colombia virtual phone numbers have PBX-like features. • Virtual numbers are available on a month-to-month basis with no activation fees, no contracts, and no termination penalties. Pay as you go and cancel at any time. What Do You Need to Establish a Virtual Phone Number in Colombia? It’s more about what you don’t need. You don’t need to rent a local business office in Colombia, you don’t need to travel to Colombia to hire staff, you don’t need an expensive phone system… Simply sign up for a Colombia virtual phone number online, pick the number of minutes you’d like to have included each month, enter your ring-to number, pick any optional features that appeal to you (such as optional call recording), and share your new virtual phone number with your contacts, partners, and potential customers in Colombia. How have you used virtual phone numbers in Colombia or any other country?